In the Female Healing workshop, we practice the Universal Healing Tao meditations and exercises for women to cultivate more energy, a higher state of well-being, a deeper spiritual connection and stronger sexuality. In today’s world, it’s far too common for people to be disconnected from their sexuality or have health problems or complications related to their reproductive organs. Sexual energy is the most powerful energy we have in our bodies – it has the ability to create life. In the Female Healing course, I teach how to use this energy to promote healing within yourself. Women of all ages and life stages will benefit from the Female Healing energy cultivation practices. In the course, we focus on Ovarian Breathing, Breast Massage, Orgasmic Upward Draw and exercises with the jade egg. 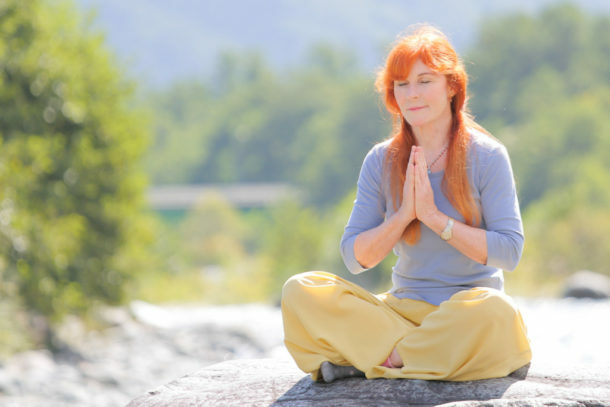 All of these practices work to circulate powerful energy in the body, activate your hormone producing glands, invigorate and rejuvenate all the vital functions, connect your mind and body and bring more energy into the brain. These practices are necessary for our spiritual development in the higher practices of the Taoist internal alchemy. 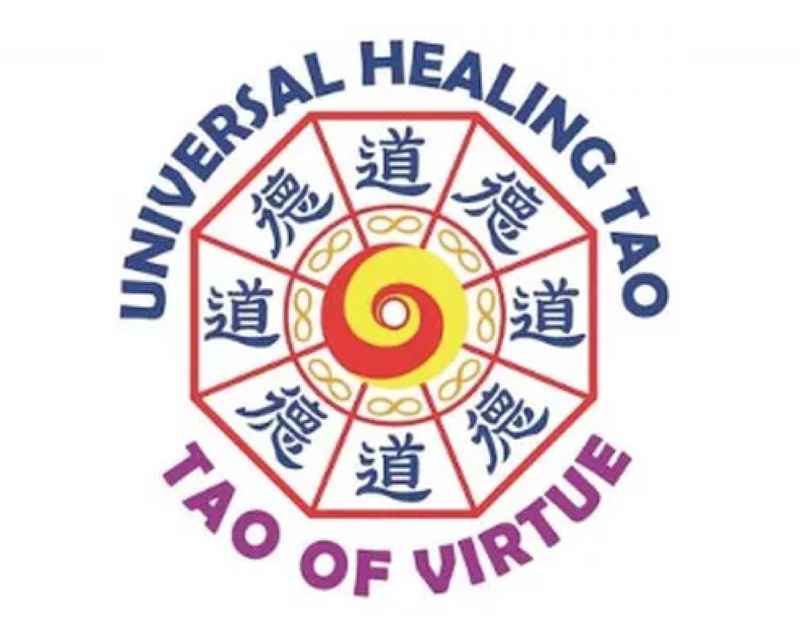 We also practice foundational Universal Healing Tao meditations, like the Six Healing Sounds, Microcosmic Orbit and Inner Smile, and also Iron Shirt Chi Kung. In addition to the meditations and exercises, I’ll also give an introduction on Taoism and some background on these ancient philosophies of spirituality. Jade Egg – the Jade Egg is a small egg-shaped stone that I will teach how to use during the retreat. It’s a tool that allows us to build inner strength and flexibility to move energy in our bodies. The eggs usually come in three sizes – small, medium and large – and they can be purchased online beforehand. Catherine Frachebourg, the event organizer, organizes the lunches at the Kulturhof. It is a vegetarian and vegan buffet for CHF 23.- coffee or tea come extra. If you wish to have lunch at the Kulturhof for any day of this workshop, please book lunches by contacting Catherine Frachebourg (contact details below). Questions? If you have questions about what I teach, I’d be happy to connect with you. Please email me at hello@juttakellenberger.com. If you have questions about this workshop’s location, pricing or registration, the best contact is the event organizer. They will be able to answer all your questions on those details. 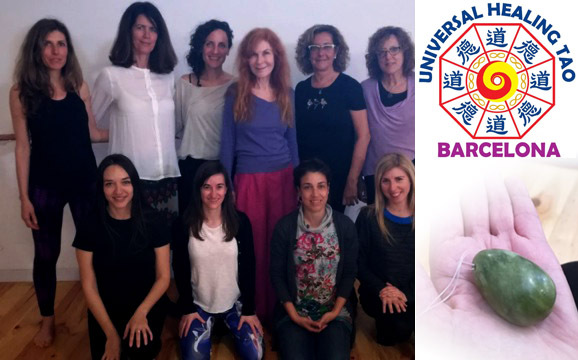 Private Teaching or Treatments – I will be in this city for a short time, and if you would like private teaching outside of this workshop or a Chi Nei Tsang Massage treatment from me while I am there, please connect with me in advance. Although I get many requests during my time in Europe, I will do my best to meet with you. You can email at hello@juttakellenberger.com.